As a psychotherapist who works with couples experiencing a variety of relationship difficulties, I am continually struck by the absence of many basic ingredients of a successful partnership. Some are more obvious than others, but many may be subtle and hardly noticed in the course of day to day life. The absence of these may cause significant erosion of affection and lead to larger problems, often creating insurmountable obstacles to a sustainable and rewarding union between two people. Many people who seek help for an ailing relationship are taken aback when they are asked certain questions about their relationship and troubled when they hear their own or their partner’s replies. Below are some of the areas of inquiry followed by a brief discussion of each. Do the two of you discuss your concerns about your relationship? Many people tend to store problematic feelings either because they are uncomfortable discussing them with each other or because they only seem able to argue rather than have conversations. Important exchanges needed to repair and heal are avoided in order “not to make things worse than they already are.” This holding back in a relationship may generate resentments that metastasize in the relationship and can create irreparable damage. Helping people have conversations despite continuing anger is often a vital first step in helping couples improve their relationship. Do you invest time and energy to keep your relationship healthy and vibrant? Is your relationship something you have or is it something you do? Complacency and taking each other for granted are often detrimental to a relationship, especially one that has been in existence for many years. Some people treat their partners like a possession and may have stopped cherishing them years ago. Curiously, for some this may be an acceptable state if it is even noticed. For others, it is a component of relationship erosion that is likely to emerge as an issue at some point and, hopefully, before it’s too late. I frequently find myself encouraging partners to resume the courtship which too many have discontinued after committing to each other. It is also important to recognize the importance of helping partners attend to each other as they did in the early stages of their relationship. Are you able to apologize when you know that you were wrong about something? For many, apologizing is associated with defeat or weakness and, therefore, is often avoided even when it would lead to a positive resolution of a matter deserving an apology in the relationship. Most often, anger and resentment seem to melt away when a relationship partner receives a heartfelt apology which serves as an acknowledgment that his or her feelings are heard and understood. My experience with relationship work has led me to always inquire about whether apologizing is in each partner’s repertoire since it appears to be such a vital component of a healthy and successful relationship. If it is not part of the relationship on one or both sides, it needs to be pursued therapeutically in subsequent sessions. Are you able to be forgiving when you feel offended by your partner or are you a grudge holder? As important as being able to apologize when necessary and appropriate, is the need to be understanding and forgiving when receiving an apology from a significant other. Of course, apology acceptance has something to do with the nature of the offending behavior. Some people hold tightly to hurt and angry feelings when they have been offended and find it difficult to let go and accept “I’m sorry” from a loved one. Also, this may have something to do with whether the apology is for a single offense that will not be repeated as opposed to an apology for repeated offenses that make apologizing seem insincere or disingenuous. An apology for forgetting an anniversary one time is certainly different than forgetting annually and is likely to be received quite differently. Do you find ways to express your love and affection? Are hugging and kissing a regular part of your relationship experience or something that only occurs upon your departures and arrivals…if even then? The minimal existence or relative absence of physical expressions of affection between partners is always a worrisome disclosure. For couples who are disinclined toward physical affection, this may not at all be problematic. Often, however, one or the other experiences the absence of an affectionate “just because” hug or kiss and may respond to this missing sign of affection by emotionally withdrawing and becoming equally unaffectionate. I have observed couples becoming more affectionate with their partners and reporting that it helped them to feel closer and more connected. How do you refer to your partner when you talk to each other? I sometimes learn that partners do not use terms of endearment, e.g. “honey” or “sweetie,” with each other. They use only their given names or even no name at all. Clearly, this may be the result of the troubles between them that led them to seek relationship help. It also might be traceable to the absence of endearing references in their families of origin. Hopefully, and as a result of an improved relationship, these terms might naturally emerge so that this form of verbal intimacy might support and enhance movement to greater emotional intimacy. Can you identify ways in which you serve as a cheerleader for your partner? By cheerleading I mean being supportive, finding ways to encourage your partner’s endeavors, acknowledging even small accomplishments and successes, and being empathically attuned to what is going on both inside and outside your partner’s life. 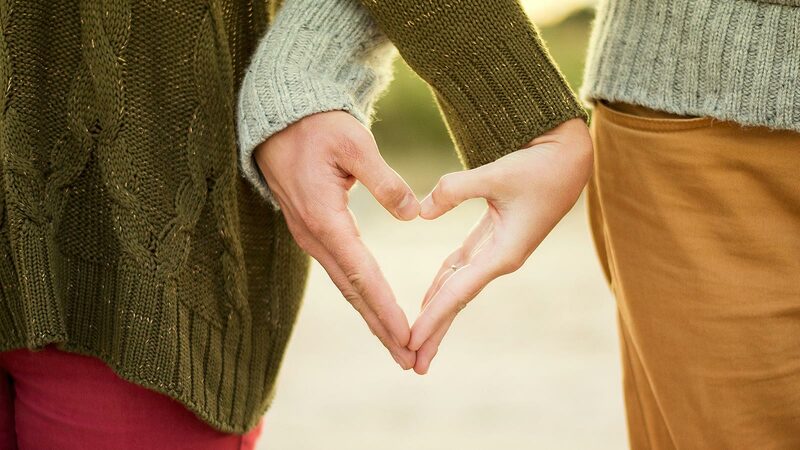 This might be nothing more than the occasional “great going, honey!” or “that’s a really great_______!” or “is there any way that I can be helpful with that?” Feeling a partner’s interest and support, as opposed to disinterest or indifference, is a vital building block to a successful relationship. These aspects of a relationship can easily be forgotten as couples move through the normal demands and strains that are encountered in life. The significance of these behaviors is that there is a focus on the relationship which requires attention and “feeding” to remain strong and healthy and provide the partners with necessary support and security. For more, please see my first post, Some Thoughts on What Makes a Relationship Successful.